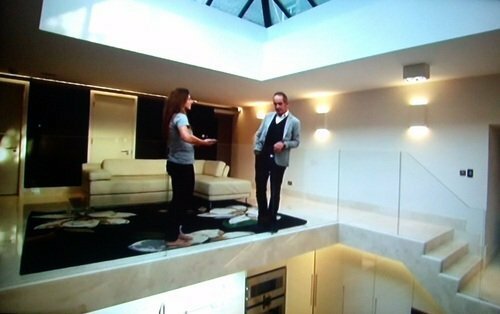 Oscar Elite super smooth acoustic plaster used on Audrey & Jeff Lovelock's Grand Designs project to control reverberation in a space with marble stairs and floors and plastered walls. Since completing this project, Audrey has started an interior design business. Click to see our main project feature page for more information and photos.